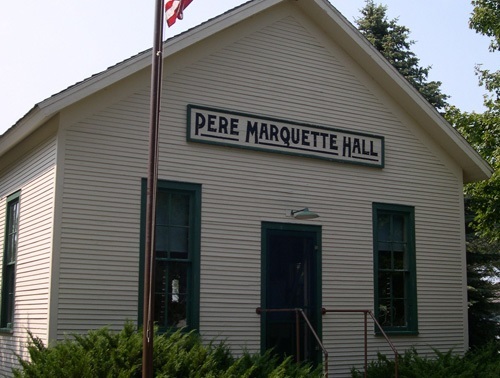 The Pere Marquette Town Hall was built in 1879. 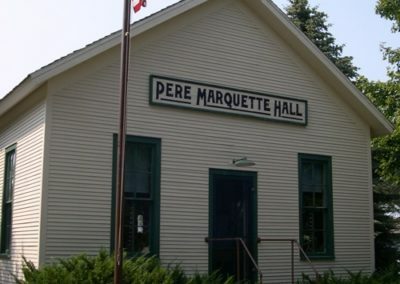 It was moved to the Village in 1973 when the new brick town hall was constructed. 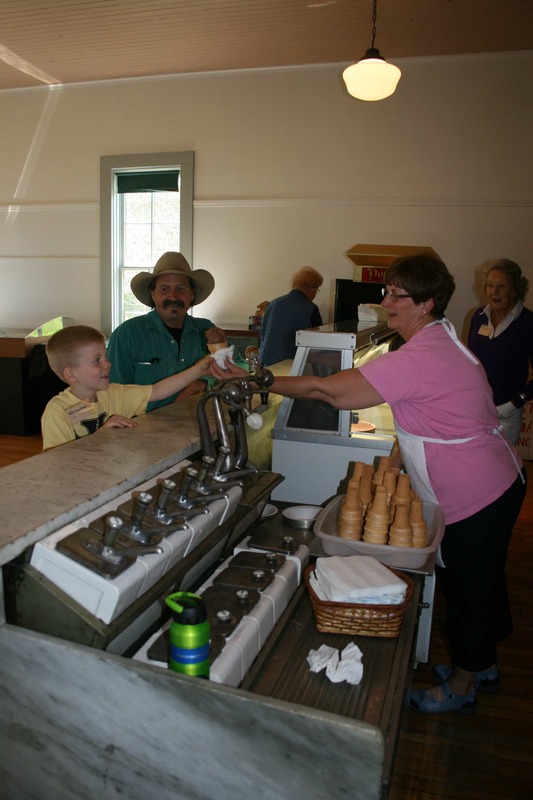 The Town Hall houses the Old Fashioned Ice Cream Parlor. The circa 1900 parlor complete with solid marble fountain and handcrafted oak and leaded glass cabinets was originally the “M. Chapp Confectionary” located near Detroit. The Village purchased the interior of the parlor in the 1980’s and stored it until 1992 when it became a part of the Town Hall setting. 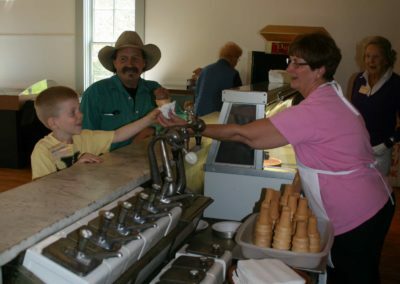 Ice cream is served in the Town Hall daily from 11:00 a.m. – 2:00 p.m.